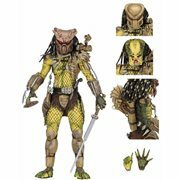 Find Hundreds of NECA Toys, Action Figures & Collectibles! Find Hundreds of Cool NECA Toys, Action Figures and Collectibles! 1985 and based in New Jersey, National Entertainment Collectibles Association is a worldwide leader in the design, development, and marketing of collector toys like NECA action figures and consumer products. Its many first-class offerings run a spectrum of genre, licensed properties, and types of merchandise, and are sold around the world. NECA and Entertainment Earth unite to meet your self-gratification and gift-giving needs! You'll find literally hundreds of cool NECA toys, figures, and unique products to delight you. 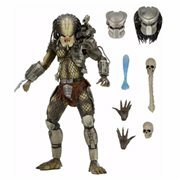 In this gigantic NECA / Entertainment Earth selection, there really is “something for everyone.” Whether your interest lies in Scaler mini-figures, die-cast metal vehicles, plush, jewelry, key chains, NECA statues, lamps, lunch boxes, games, ear buds, phone covers, masks, or other articles, we've got you covered! The Hottest Items from the Hottest Movies, Video Games, and More! What do you do when you have the ability to make products based on the hottest trends? 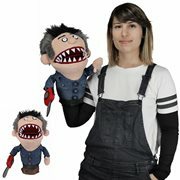 You make some killer stuff, like NECA prop replicas from classics like Gremlins, Friday the 13th, Twilight, and National Lampoon's Christmas Vacation to more current hits like Five Nights at Freddy's 4, Alien: Covenent, and Guardians of the Galaxy Vol. 2. Plus, there are tons of Wonder Woman, Deadpool, Suicide Squad, Teenage Mutant Ninja Turtles, Spider-Man, Iron Man, and other NECA bobbleheads (Head Knockers and Body Knockers), and various other product types to choose from. NECA is probably best known as a manufacturer of a vast variety of action figures, but as can be seen above, the company also produces other collectible and giftable items from many genres. 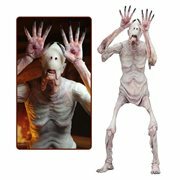 NECA horror figures are very popular, but so are figures, travel mugs, tattoos, bookmarks, calendars, bags, patches, string lights, blankets, mugs, journals, and more inspired by Adventure Time, Batman v Superman, Halo, Portal 2, Batman Returns, Terminator 2, A Christmas Story, The Hateful Eight, E.T. the Extra-Terrestrial, Godzilla, and scores of others. NECA dolls are also high on the list of desirable items. Entertainment Earth is delighted to be able to offer you such an incredible kaleidoscope of high-quality products. We invite you to inspect this assemblage of must-haves and pick those that suit your fancy. We also suggest you check back here often to see what upcoming NECA figures and other goodies will be arriving soon. You don't want to miss a single one!